For founder Sonny Richichi, his staff and the volunteers at Italian Horse Protection (IHP), a non-profit organisation that seeks to protect vulnerable equines from all forms of abuse, it came as a devastating shock when 9 of their horses died unsuspectingly and without warning. 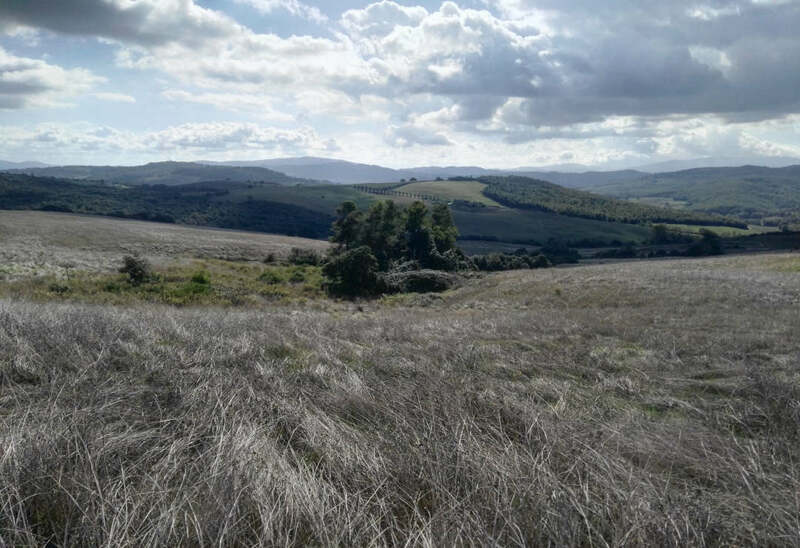 It was just a few months back in December 2018 that we released an article celebrating the association’s news of a permanent home in 600 acres of land in the Volterra area of Tuscany. It was a joy that not even the founder could believe had happened. That joy was short lived because the organisation has been struggling to understand the sudden deaths of 9 out of its 65+ horses that the association are responsible for. For two weeks IHP kept the incident hidden from the media in the belief they could find an answer to the happenings and later explain them without causing public alarm or hiseria. The true alarm, however, is they have now found out that there are no suitable explanations to the causes of these sudden deaths, the first of which came two days after their move. IHP believed the first death was attributed to a heart attack or aneurysm, but then another two horses died the next day and another a day later. Suspicions were rising and thoughts of something more sinister like deliberate poisoning had to be considered. On the fourth day four more horses lost their lives one after the other. IHP were no longer thinking any of the deaths were down to heart attacks or the stress of the move. All these horses died in the same way so they started seeking professional help and alerted all the relevant authorities, including the police and the Ministry of Health. A few days later, IHP lost another horse in the same mysterious way. Every horse that died was healthy with no external signs of illness and were happily grazing in their new home, but when the deaths occurred each one happened within a 3-8 minute timeframe. Having sent samples off for analysis and the bodies for post mortems to labs and research institutes in Italy and the United Kingdom, IHP then stopped all their horses from leaving a controlled area of two shed buildings and a small paddock. Obviously this is tough on the horses which causes them additional stress and anxiety as well as for the staff and volunteers who are now caring for the sectioned equines around the clock. Although IHP have engaged specialist veterinarians to rule out foul play, sabotage or such like behaviour, the Italian Horse Protection Onlus (Onlus means Association in Italian) are also desperate to rule out accidental death due to soil contamination, field water pollution or poisonous plants growing on the land… All 600 acres of it, a huge, daunting and expensive task. With an intensive investigation underway, the horses in quarantine, and 24 hour vigilance in effect by IHP staff and volunteers, it is causing the non-profit to strain its finances on top of its cost of moving. Though a simple donation of money would be most helpful, the organisation would like to know, and very quickly, what on their earth is going on. Nonetheless, please consider helping out wherever or however you can. If you have ever come across something like this and/or could offer any kind of suggestion that the Italian Horse Protection could look out for or investigate, please contact IHP (live links are in the footnote of this page). The founder of Italian Horse Protection appealing for help. The video is in Italian , but you can view english subtitles by clicking on the cog wheel or settings button and turn on captions. Toggle on the settings button to remove/show the settings menu. 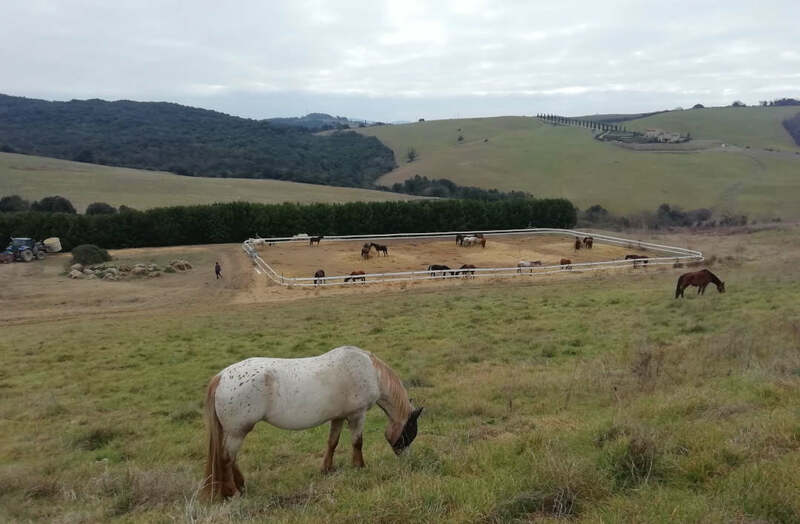 Head/Cover image description: Following the sudden unknown death of 9 horses at Italian Horse Protections new home, their equines have had to be sectioned from all that beautiful land.